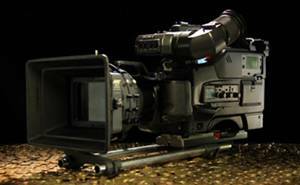 The Hyper 35 ENG camera is a Hybrid of the Canon 5DMKII adapted to the versatility of a Sony Betacam body. The Canon 5DMKII attaches to a Kirk quick released bracket on the front of a refurbished Sony camcorder. The Hyper 35 is lightweight and balances nicely on the shoulder. 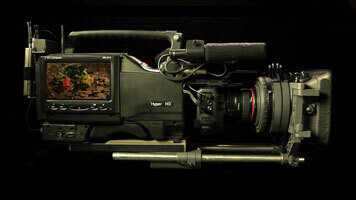 The Hyper 35 comes with V lock battery plate and onboard Power to 5D, Audio pre-amp and a new Sony HD Viewfinder.